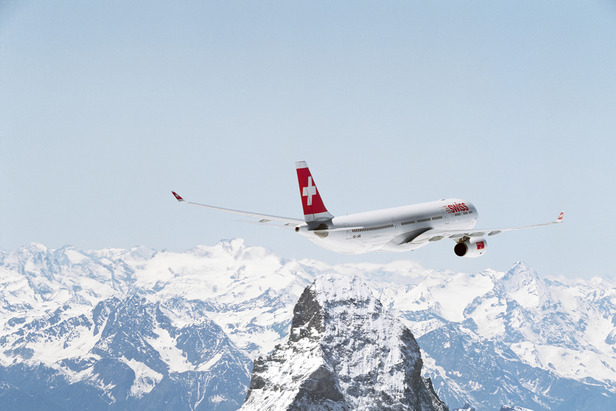 A Swissair jet flying over the Matterhorn. 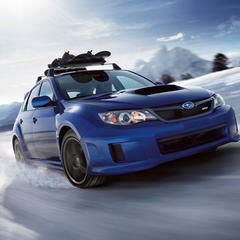 Flying with skis can add an extra £100 on a return journey, which is a whopping £400 for a family of four. No-frills airlines like easyJet and Ryanair have been adding sports equipment charges for some time now: easyJet charges £54 return if you pre-book online, otherwise it is £70 return to buy at the airport; Ryanair is even pricier, charging £100 return online or £120 return at the airport. Flying with skis ain't cheap. The UK's flag carrier British Airways joined the no-frills airlines in axing its free ski allowance a couple of years ago. The airline cites economic circumstances as the reason for its new ski charge. A BA spokeswoman said: "Most other airlines already charge for sporting goods. These are unprecedented economic times and we believe this can generate revenue for British Airways and help return us to profitability." 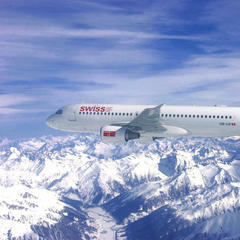 SWISS International Air Lines has recently become the only carrier to offer free ski allowance from the UK to The Alps. Gregor Koncilja, SWISS's country manager for the UK and Ireland, told OnTheSnow: "SWISS have always offered free transportation for one set of ski equipment, in addition to checked luggage allowance, and have no intention of changing this." But just because SWISS are more transparent with their prices – not charging extra for skis – it doesn't mean they're always the cheapest though. The only way to get the best ski airline deal is shop around. It's not only the price of flying with skis that's infuriating, there's so much confusion surrounding weight restrictions and what actually constitutes "sports equipment", ie do ski boots count? easyJet and Ryanair don't tell you this on their websites but, as long as your ski bag doesn't exceed weight restrictions, you can pack whatever you like in there: two pairs of skis or snowboards in one bag will count as 'one item' instead of two. This is well worth knowing as it can save two people up to £100 on a return flight. It's best to get your bathroom scales out and weigh your ski bag at home to avoid excess baggage charges at the airport. 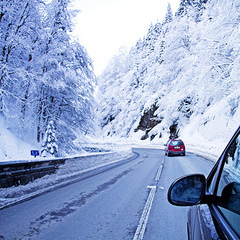 It's up to you where you pack your ski boots, whether in ski bags or check-in bags, but just make sure size and weight restrictions are adhered to. If you find yourself faced with excess baggage charges, a good tip is to wear your ski boots on to the plane - it's better to look silly and save money, right? Weight restrictions on ski bags vary depending on the airline. easyJet sets a 32kg sports baggage allowance so, depending on how much luggage you have, you may find your ski bag will hold everything - even your everyday clothes (assuming you don't mind creases) and that way you'll avoid the extra charge of a check-in bag (£20 easyJet). This cunning idea maybe a little more difficult with Ryanair as they're sports baggage allowance is set lower at 20kg. Unlike the budget airlines, BA does allow one free checked bag (23kg), but require you to pay for a second checked bag (inc. ski bags) at £30 when booked online. A good idea is to cram as much as possible (including ski boots) into your free checked bag, that way you may be able to fit more than one pair of skis in your ski bag. Another option of course is to forget the headache of flying with skis altogether and simply rent ski equipment out there. 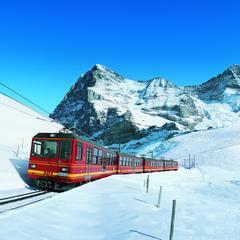 Ski rental charges vary according to the resort and country. For the hire of snowboards/skis and boots for six days, Skiset charges: from £36.60 (£33) in France; £73.60 (£66) in Austria; and £87.96 (£79) in Switzerland. Victor Poisson, head of development at Skiset, says the ski rental business is on the increase, particularly the online aspect. He told OnTheSnow, "Not only are customers getting frustrated with the increasing costs of flying with skis, but we are also seeing an evolution of shopping habits - moving to more flexibility thanks to the Internet. Skiers have more time to choose their equipment and avoid the rush in store where they will find their equipment ready waiting for them." Beginners, in particular, can benefit from renting rather than buying skiing/boarding equipment as it allows them to try out different sizes and styles. But renting isn't for everyone: intermediates may have learnt using their own skis or board and now be used to them, while advanced skiers may have invested in specialist equipment to suit their skills.